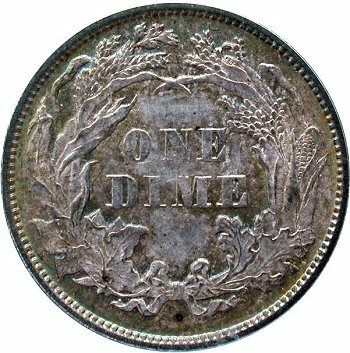 Comments: There are two key obverse diagnostics for Obverse 11. 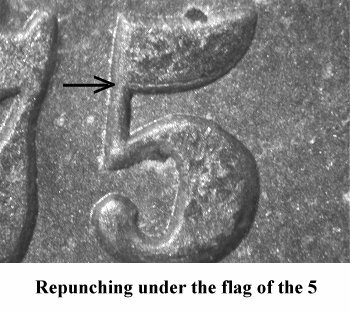 Repunching is seen under the flag of the 5 digit. 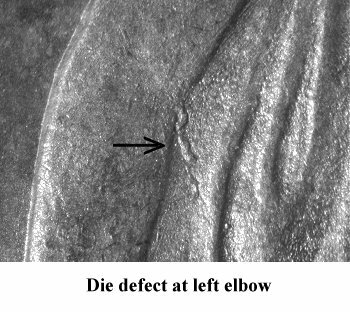 Secondly, a long die defect is present directly left of Liberty's left elbow. 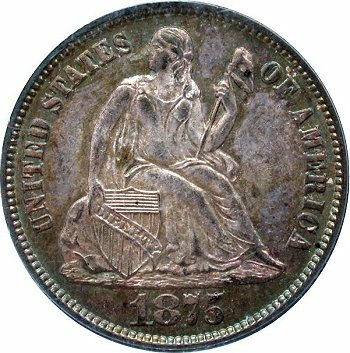 Obverse 11 will be paired with two additional reverse dies. 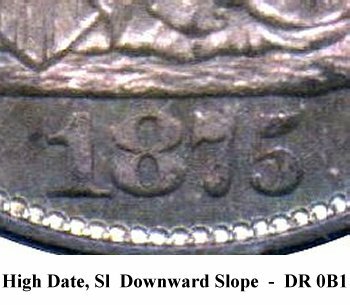 The subsequent die pairings are listed as Variety 112 and 113. 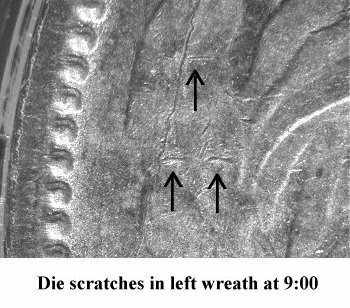 On Reverse K, there are several die scratches in the wreath at 9:00 near the rim. See the obve photo image.